Wally was raised in Springfield, MO and graduated from Drury University in 2005. Out of college he accepted a loan administrative position with a local bank and later took a credit analyst position in the commercial loan department with Citizens National Bank of Greater St. Louis. With his knowledge of commercial loans and commercial real estate from the banking industry he decided to obtain his real estate license in 2008. After receiving his license he began working for a small investment firm in St. Louis, doing turn key investments for out of town buyers through out the St. Louis metro area. In 2010 Wally decided to move back to Springfield where he placed his license at Coldwell Banker Commercial. There he assisted clients with buying, selling and leasing commercial property in the Southwest Missouri area making him one of Coldwell Banker Commercial's top producers out of their Springfield, MO office. 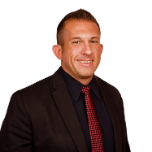 Wally has joined the Keller Williams team so he can assist clients with their residential as well as commercial needs.